To enhance customer experience, the development in the field of Set-Top Box is picking up fast. Some of the latest features that have been included or are being looked at include: Set-top box as Home Entertainment server, IP Set-top boxes, Set- top box with remote upgradeability features, Enabling Cross Platform Initiatives etc. Complete Set-top box tests can be performed using single NI PXI Chassis shown below along with MaxEye Technologies Signal Generation solutions. 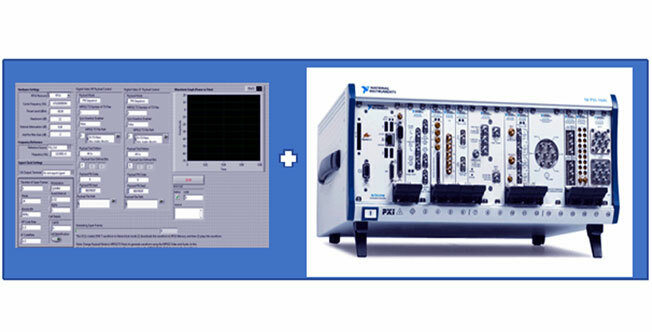 Complete and flexible test solutions to test DVB-S and DVB-S2. Single test system to test multiple digital video broadcasting protocols, AM, FM etc. Reduces the complexity of the test setup significantly and avoids changing the test system for every test. Customized automated test solution using LabVIEW and Test Stand to meet your specific test requirements.